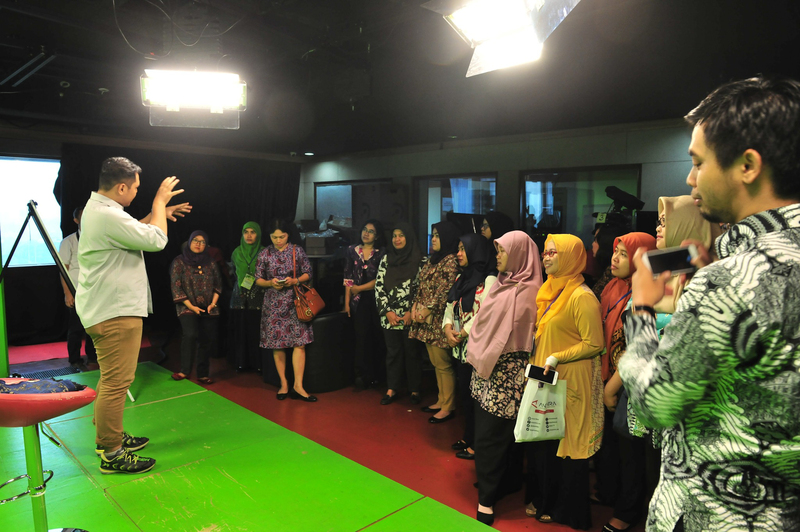 Cabinet Secretariat organized an excursion for participants of First Level Functional Translator Education and Training Class VIII of 2019 to the National News Agency Institute Antara and the United Nations Information Center (UNIC), Jakarta, Tuesday (9/4). Head of Translation Division of Office of the Assistant to the Deputy Cabinet Secretary for State Documents and Translation, Yuyu Mulyani who kicked off the event said that Cabinet Secretariat, as the fostering institution for Indonesian Functional Translator Officers, organized the excursion which is part of the translator and training program to improve the competency of participants. 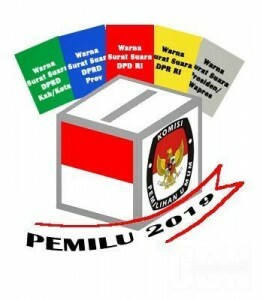 In a bid to provide citizens a chance to exercise their voting rights in elections, President Joko “Jokowi” Widodo on April 8, 2019 signed Presidential Decree Number 10 of 2019 on the Stipulation of 2019 General Elections Day as a National Holiday (link: Copy of Presidential Decree Number 10 of 2019). Under the Decree, the Government declared voting day on 17 April 2019 a national holiday. 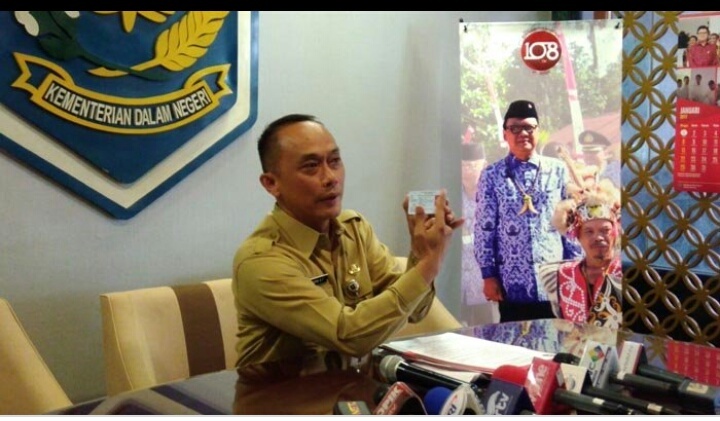 The decision was made with the consideration that Indonesian citizens have the rights to cast their ballots. The General Election Commission (KPU) and the Government have set a target for voter turnout in the upcoming election to be 77.5%, in accordance with the National Medium Term Development Plan (RPJMN). To achieve the target, Ministry of Home Affairs continues to intensify the dissemination of information regarding the elections. In addition to holding a National Coordination Meeting for regional heads, sub-district heads and village heads as a means of dissemination and preparation for elections, advertisement of the elections has also been intensified to increase knowledge and voter participation. Minister of Communications and Informatics Rudiantara invited Indonesian students and youth to accomplish more remarkable achievements and advance Indonesia to the International arena, especially in the field of communication which has considerable opportunities that is in line with the ease of access to technology and information. “Communication is not only a matter of delivering messages. 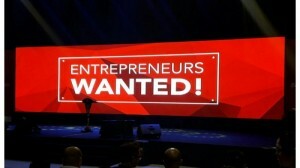 Despite being in the era of disruption, through communication, we can innovate. 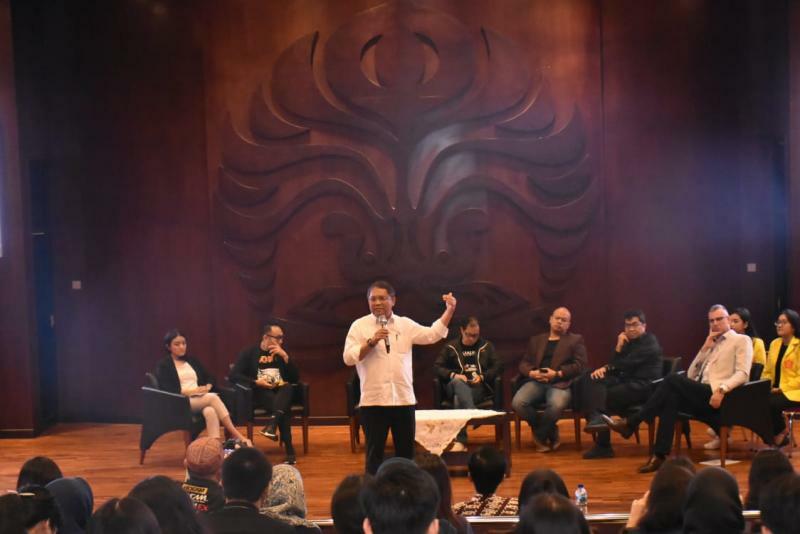 Students can make full use of technology to create innovation,” Rudiantara said during the 2019 Communication Week adopting the theme “Forum Disruption to Innovation: Change Your Tire or Expire”, at the Convention Center of Universitas Indonesia, Depok, Monday (8/4). For the record, Communication Week is a national competition presenting communication science students from various universities in Indonesia that aimed at honing the abilities and talents of students in the communication field. 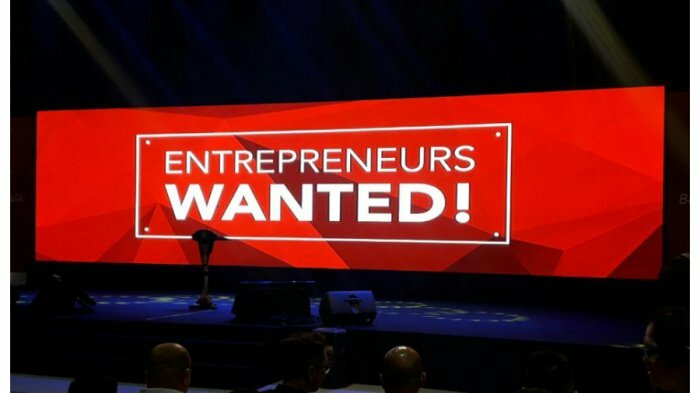 The percentage of entrepreneurs in Indonesia is only 3.1% of the total population, a low number compared to entrepreneur rate in developed countries that reach 14%, according to Coordinating Minister for Political, Legal, and Security Affairs Wiranto. 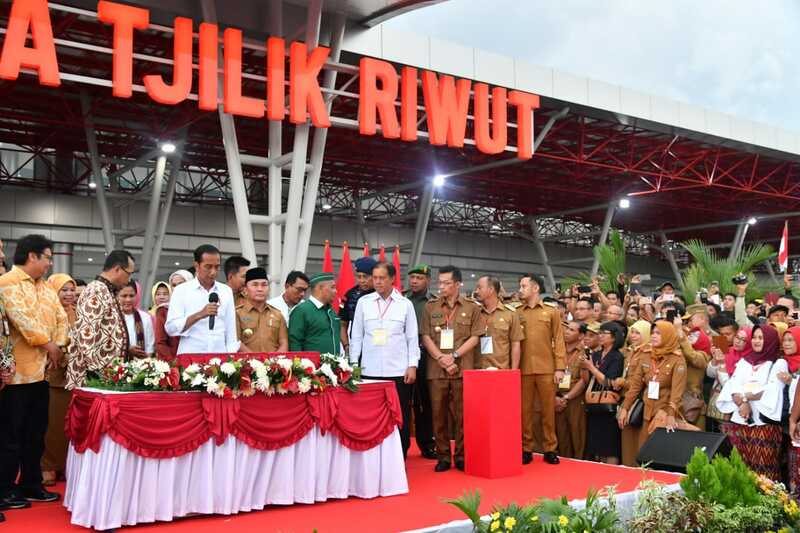 Wiranto made the statement during the distribution of Intellectual Property Rights Certificate and Deed of Establishment of Legal Entity in Jakarta, Monday (8/4). President Joko “Jokowi” Widodo Monday (8/4) inaugurated the operation of Tjilik Riwut Airport’s new terminal in Central Kalimantan provincial capital, Palangkaraya. According to the President, the expansion of new terminal is aimed to boost economy in the city and its surrounding areas which have been flourishing in the past five years. 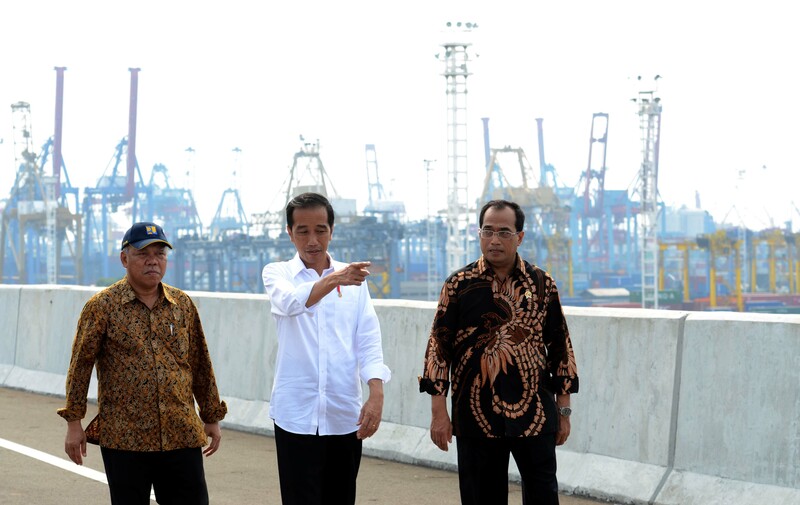 President Jokowi, accompanied by Minister of Transportation and Minister of Public Works and Public Housing, inspects sea port access toll road. Photo by: Cabinet Secretariat. 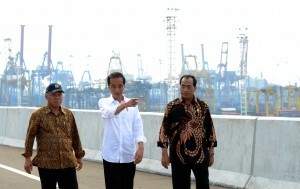 The Government aims to make five sea ports in Indonesia into corruption-free zone (WBK) and Clean and Serving Bureaucracy Zone (WBBM). Minister of Transportation Budi Karya Sumadi made the statement during the opening of Working Meeting of Directorate General of Sea Transportation at Ministry of Transportation Head Office, Monday (8/4). 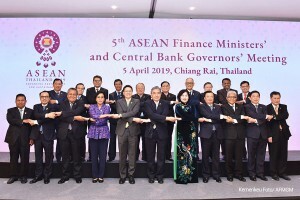 The Association of Southeast Asian Nations (ASEAN) Finance Ministers and Central Bank Governors 2019 Meeting has resulted in the enhancement of taxation and customs cooperation in supporting integration of economic activities and in improving trade facilities in the region. 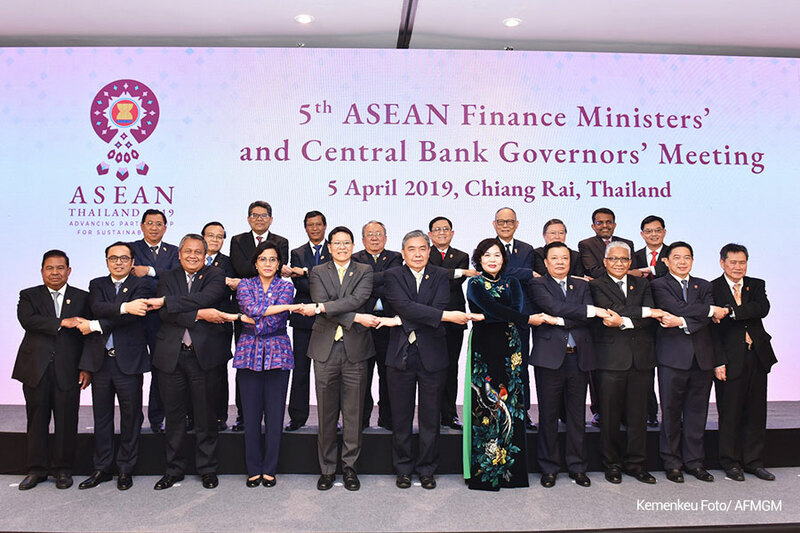 In cooperation on taxation, ASEAN will continue to promote bilateral networks of avoidance of double taxation agreements among ASEAN member states and improve global initiative on the implementation of exchange of information for tax purposes. Vice President Jusuf Kalla on Saturday (6/4) inaugurated a low-cost apartment at the compound of Muhammadiyah University of Malang (UMM) in Malang, East Java. On that occasion, Kalla appreciated the spirit and ideas held by the university in encouraging students’ research. He also applauded the university for highly upholding diversity. 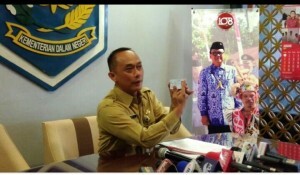 All Indonesian citizens must have self-awareness and be proactive to record their identities for electronic Identity Cards (e-KTP) at the Civil Registration Agency in their respective regencies/cities, unless they will lose their rights to vote in the upcoming Simultaneous Elections on 17 April 2019. The decision is an implication of provisions in Law on General Elections, and the Constitutional Court’s decision.